Article: Julian Jordan Released His Incredible, New Track “A Thousand Miles!” Listen To It Here! DJ sensation Julian Jordan’s extraordinary, new track “A Thousand Miles” is definitely a track that will give us the motivation we need to walk a thousand miles at the gym! 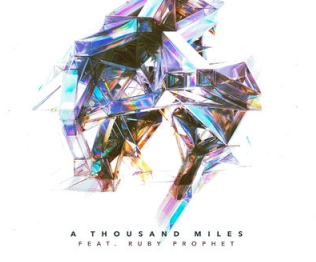 The sensational and exceptional DJ Julian Jordan is at it again with another mesmerizing and phenomenal track as he just released his latest track titled “A Thousand Miles” featuring Ruby Prophet. It seems as though every time the remarkable Julian Jordan releases a new track, it continues to surpass our expectations and leave us more and more in awe. The outstanding Julian Jordan has done just that with his new track that we are super excited to jam out to at the beach, at the gym, in the car, at music festivals, and every other place you can imagine! Julian Jordan shared the tweet as seen below. Previous Article: Gail Soltys Became A Beautiful Mermaid During Her Project Mermaids Photo-shoot! Next Article: A Look Inside DJ Phenomenon Martin Garrix’s Life The Past Couple Of Days: Ushuaia Ibiza, ULTRA Europe & More!